I am the 6th TAKM account. And the final one. I've been on scratch for 5 years now! Making projects. and putting chungi in thrm. 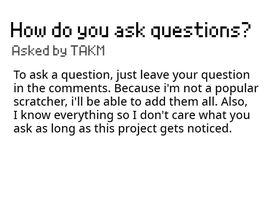 Q + A Ask anything.